Does Your Family Need Respite Care? If you’re providing in-home care for a loved one in Memphis, then you already know how challenging it is to get everything done and still be able to provide the companionship your loved one needs. If you aren’t quite ready to switch to full-time assisted living services, then short-term in-home care could be right for your family. Short-term elder care is known as respite care. Watch this video to find out more about caregiver burnout. The medical school student featured here explains that caregiver burnout may be indicated by physical symptoms such as insomnia, frequent illnesses, and fatigue, as well as mental and emotional signs such as mood swings, irritability, and changes in temperament. Since being a caregiver leaves little time to care for your own needs, it’s advisable to seek respite care services before you become in dire need of them. 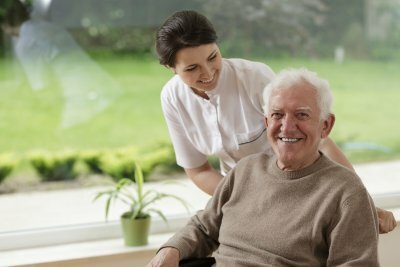 Senior assisted living services are often utilized when a loved one is in declining health, but it’s also a good idea to hire an in-home caregiver in Memphis when a loved one is discharged from the hospital after surgery. This is known as transitional care because the patient is transitioning from hospital care to assisted living care at home. An assisted living provider can help recovering patients with a wide range of post-operative challenges. After an operation, there may be a number of different medications that a patient might need to take. Typically, post-operative patients take antibiotics and narcotic pain relievers, followed by over-the-counter pain relievers as healing progresses. Some patients might also need to take blood-thinners to reduce the risk of blood clots in addition to their normal medications. It can be a challenge to juggle all of these pills. An in-home caregiver providing transitional care can help patients manage medications by providing medication reminders. This prevents the possibility that a patient might accidentally skip a dose or take an extra dose. Some surgeries are minimally invasive and may only impose minor limitations on movement. Other operations require a large incision, which can significantly interfere with a patient’s mobility and self-care abilities, particularly if the patient wasn’t in good overall health before the surgery. 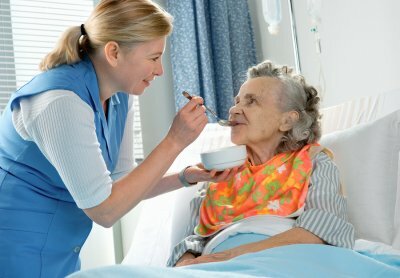 A transitional care provider may be essential for the patient’s hygiene. Caregivers can assist patients with bathing, dressing, grooming, and toileting, among other routine tasks. For a healthy recovery from surgery, it’s essential to follow the doctor’s post-operative instructions carefully. Usually, these instructions will include limitations on heavy lifting, bending over, and any other strenuous activities. Housekeeping tasks will certainly be out of the question for recovering post-op patients. This is another major benefit of working with a transitional in-home care provider after surgery; all of these tasks can be taken care of by a professional. Balanced nutrition plays a crucial role in the healing process, yet it’s usually difficult for post-operative patients to prepare their own meals. Rather than relying on unhealthy take-out food or premade, frozen meals, patients can enjoy nutritious and delicious homemade meals prepared by an in-home caregiver. Good nutrition is important for seniors, but those with dementia often experience challenges getting the right nutrients. This may be because seniors living with dementia may have a reduced appetite, be too distracted at mealtimes, or have problems feeding themselves. If you’re concerned about your loved one’s health, consider talking to a home health aide near Memphis. Specialized elder care services are available for individuals with dementia, including assistance with meal preparation and feeding. Elder care providers can assist your loved one with a decline in appetite. Among seniors with dementia, poor appetite is often attributable to poorly fitted dentures, changes in medications, and the lack of sufficient exercise. Some people may not want to eat because they no longer recognize the food or because they no longer have a strong sense of taste and smell. It may be helpful to serve five or six smaller meals instead of three main meals. Preparing the individual’s favorite foods and encouraging him or her to move a little more may both help improve his or her appetite. Individuals with dementia have trouble with stimulating environments. They may have trouble eating if there are too many distractions present, which can inhibit their ability to get all the nutrients they need . Elder care providers often prefer to keep the television and radio turned off during mealtimes. It can also be helpful to eliminate clutter to encourage a calm environment. For example, it’s best to remove the vase of flowers or bowl of fruit from the table during mealtimes. Only set down the plate of food, a napkin, and needed utensils. It may take an hour or longer for an individual with dementia to consume a meal. Fortunately, dementia care providers have plenty of time to sit with the individual and keep him or her company while eating. It’s generally preferable to allow the individual to retain as much independence as possible while eating, even if self-feeding becomes messy. The caregiver may serve bite-sized finger foods to encourage the individual’s self-feeding abilities. During the mid-to late stages of dementia, it can be helpful to prepare foods in a way that minimizes difficulty chewing and swallowing, such as by grinding up foods or serving soft foods. If you have a loved one in the hospital, it’s likely that your focus is on his or her immediate well-being. 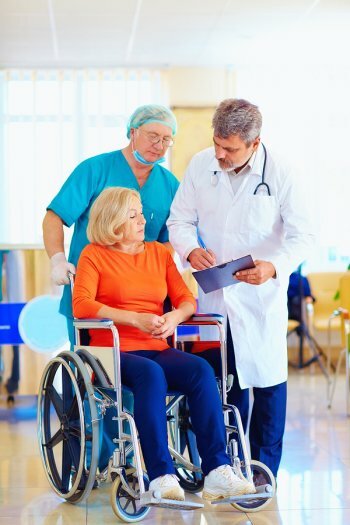 But it is important to take a few minutes to consider his or her post-discharge needs, particularly if your loved one is an older adult who may require assisted living services. First, meet with the hospital care coordinator to discuss which challenges your loved one will face when he or she returns home. Then, contact a caregiver agency in Memphis and schedule an elder care consultation. When you meet with the representative at the home health agency, bring along a list of your loved one’s anticipated post-discharge challenges. These will likely include mobility limitations and self-care impairments. Develop an elder care plan for your loved one that addresses all of his or her needs. Discharge planning will help your loved one focus on his or her recovery and maintain a high standard of living despite his or her limitations.